One of my favorite things this season are luxe sweatshirts- embellished with cool prints, ornate designs and tough textures. The new sweatshirt has quickly replaced the chunky sweater as best topper for Fall and Winter. Kenzo caught on quite early with brands like Rebecca Minkoff and Reed Krackoff following suit. (The -offs!) Who says you can’t be comfy and fashionable? There’s something about its rounded shoulders and slouchy shape that just does it for me. And my other love? Leather, oh glorious leather! You can’t tell in the look above but I’m totally wearing a leather skirt. Gotcha! Which brings us to today’s look. 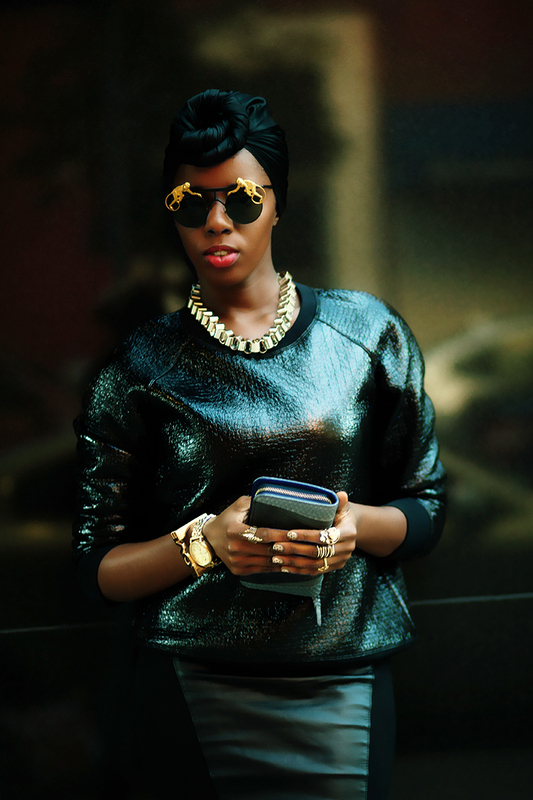 Bottom line: if your wear luxe sweatshirts and leather pencil skirts you will look awesome. It’s all in the silhouette, baby. Let the coolness take over you. Theory sweatshirt / Bebe skirt (similar here) / Steve Madden heels / Mercura shades / H&M necklace / Khirma Elaizov (similar here) wallet / turban by me! This entry was posted in Outfits, Trends and tagged Fall 2013 Trend, Outfits. Bookmark the permalink. Love the camo hels. The print adds a pop! 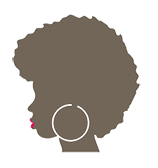 My New Natural Hair Extension Line, Curl Sistas!